Kevin is a freelance lighting designer based in Dublin. 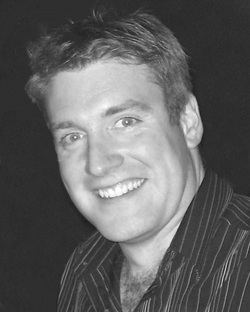 He has worked for the last fifteen years in Ireland and internationally designing for theatre, dance and opera. With well over 100 productions to his credit, his work has been seen in Ireland, UK, USA, Australia, France, Hungary, Kosovo and Macadonia. Kevin holds a BA in Drama & Theatre Studies from Trinity College Dublin. He has had the pleasure of working with most leading Irish theatre companies including Abbey Theatre, Rough Magic, Fishamble, Landmark, Blue Raincoat, Gaiety, Calipo, Cahoots, Big Telly and The Lir Academy; as well as choreographers such as Marguerite Donlon, John Scott, Luke Murphy, Dylan Quinn, John Jasperse, Liz Roche and Michael Keegan Dolan. Wild Sky with Ten42 Productions. These Halcyon Days, Landmark & Tall Tales. Flatpack, Ulysses Opera Theatre Co.
For a full listing please download a CV below.